AQB helps clients manage their personal and business finances in the best possible manner, affording them the opportunity to live balanced lives, and achieve their financial and life objectives. As part of their vision for clients, the partners formed an additional new business in association with PSG in 2012 incorporating PSG Knysna. This association with the PSG group, in addition to adding a new partner, Wessel Landman, has enabled the practice not only to draw on the expertly managed investment platforms, compliance controls and research that has defined PSG Wealth’s position as a significant force in the financial planning industry, but also to offer clients medical aid cover and long and short-term insurance. Furthermore AQB has retain its ability to act independently to ensure that the best interests of the client are met. AQB has maintained solid and long-standing relationships with specialist financial services providers, such as Acsis and Flagship Asset Management, to ensure that clients are offered an independent spectrum of investment opportunities.  AQB stands for “A Question of Balance”, which defines the philosophy underpinning the practice. The philosophy reflects the primary objective of the partners, which is to help clients manage their personal and business finances in the best possible manner, affording them the opportunity to live balanced lives, and achieve their financial and life objectives. AQB and PSG-AQB’s head office is in Knysna and we also operate from Johannesburg, Cape Town and Plettenberg Bay. The combined current staff complement is eighteen, which is made up of Chartered Accountants two of whom are licensed CFP®’s, various tax practitioners, bookkeepers, a trainee stockbroker, a psycologist, an estates administrator, insurance specialists and support staff. Compli-Serve SA (Pty) Ltd; an Authorised Compliance Practice CO 194. PSG-AQB falls under the PSG compliance team.